Muhammad Al-Maaliki- You Included Shaikh Muhammad Bin Haadi in a Statement of yours at Brixton, So Be Honest And Clarify! Indeed, one of Muhammad Al-Maaliki’s blameworthy ways in the UK is that he seeks to slander and silence those brothers in the UK Maraakiz, who criticize the staunch UK followers of the obstinate Mubtadi’ah, Al-Maribi, Al-Halabi and Al-Magraawi. So when asked about those who question Brixton’s Salafiyyah, he responded saying that such people are fame seekers and that one should ask the scholars who visit the Uk, Shaikh Muhammad Bin Haadi included. Muhammad Al-Maaliki utters slander once again! Firstly: Those who question Brixton’s Salafiyyah do so based on the fact that Brixton’s Admin staunchly defends the Murji Mubtadi Ali Al-Halabi. But Muhammad Al-Maaliki has nothing else to offer as a valid defence other than slanders. There is no doubt that his visits to the UK and blameworthy companionship has gradually established him as one of those in that ‘defense of the indefensible’ racket. Some brothers are still been castigated for speaking the truth-the likes of Ustaadh Abu Khadeejah, Ustaadh Abu Hakeem and others (may Allaah preserve them) have stood firm and manifested the truth despite being attacked and vilified. But Muhammad Al-Maaliki deliberately ignores the fact that his defense of the indefensible is a spectacular mistake. He deliberately ignores the fact that it is impossible to encourage the staunch UK followers of Al-Maribi, Al-Halabi, Al-Maghraawi to ignore criticisms directed against them, whilst they staunchly defend innovators. Likewise, Brother Muhammad is infuriated by the fact that he has been unable to provide proofs for his slanders against Al-Markazus Salafi, yet he still claims to be upon the truth. Some brothers believe that Brother Muhammad is sleepwalking towards Tamyi; but even this sleepwalking towards Tamyi should be a stark warning. It is very disturbing that a man claiming fifty years of knowledge and companionship with the scholars has refused to acknowledge reality, even after the scholars have transmitted unambiguous knowledge based proofs against the innovators Al-Halabi, Al-Maribi, Al-Maghraawi and their staunch followers. 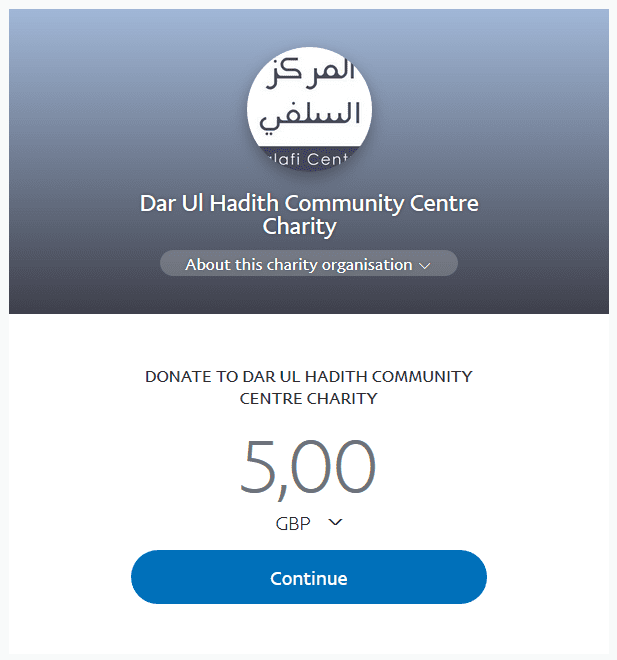 On the other hand, he is quick to attack and vilify Al-Markazus Salafi for transmitting the knowledge based refutations against the staunch UK followers of these Mubtadi’ah. Likewise, he is not willing to be reminded of the fact that he must bear personal responsibility for sheltering these people, arguing on their behalf based on falsehood and slandering Al-Markazus Salafi?! This is a looming danger that Muhammad is steadily shrinking in on himself-trapping himself behind the staunch UK followers of Maribi, Halabi, Al-Maghraawi and the fallen Jamiat Ahle Hadeeth. His lack of clarity in this affair is echoed in the centres he visits in the UK, whilst he seeks to prevent us from speaking the truth. And we hope those errors that have occurred from them (i.e. the brothers at Masjid Ar-Rahmah) will not be repeated by our brothers. This is my advice, and if the errors are repeated, then then it will be hurtful and they will be considered to be blameworthy. And then the end result for these brothers at Masjid Rahmah will be like the end result of that which occurred with those of Brixton Masjid in London! That they ended up with Abul-Hasan, Ali Hasan and those types of people, that which occurred with Abdul-Haqq Baker and whoever was with him such as Abu Haajir and others. They came to me here many times, and I would advise them. And what became apparent is that they are not truthful (laysoo saadiqeen)! These people from Brixton Masjid would sit with me and listen and say “yes” and then go and do the opposite! But this in reality did not harm except themselves! So I advise you with the same that you are truthful, outwardly and inwardly. And in this world you will be treated based upon your outward deeds. So I advise you not to be like these people at the Brixton Markaz for they are NOT truthful people (ghayr saadiqeen), for indeed they would come to me many times and often. I would try to rectify the affairs between them and the brothers in Birmingham (UK) at Salafi Publications. So whatever they (Brixton Masjid) would agree to in these sittings to adhere to, they would exit and abandon all that they agreed to. So I advise you to be truthful upon the correctness and be earnest.